You cannot imagine how many times I am asked: “Why should anyone buy your book?” Well, the answer is to read it. Here are 10 reasons to read Every Soul Is Free. 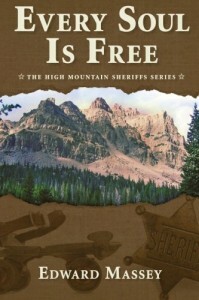 It is a terrific read: Full of atmosphere and real people, this story of how recently we lived the Old West (actually, a posse in 1948) will hook you and draw you into a world that could, possibly, have been yours. You are a Grandfather: Inevitably there comes a time when tough love creates misunderstanding. Every grandfather alive has experienced this. You are a grandson: You may not be the grandson of a sheriff who is a grandson of a sheriff. Few people are. But you are the grandson of a great man. You are a sheriff: Every one of the 3,083 sheriffs in the U.S. has a job that comes before his or her family. You are a deputy: Every man or woman who is from somewhere and is going somewhere, who had a magnificent future and is now just stuck, who can’t believe they even got this far, is a deputy. Their stories should be heard. What is your story? Your ancestors were pioneers: Pioneers, an exclusive, but not rare, breed, crossed the oceans and the land in search of a life they wanted to lead. You are a pioneer: There you have it. It is a mind set. I hope you are one of them. You are or you were raised a Mormon: There’s no gilding the lily. A lot of stories in the book are of the sort that came from sitting at my Grandmother’s dinner table. You are an all-suffering, strong-willed woman: A Sheriff, a fugitive, a posse, horses, snow and this book is about women, not men. The women kept the West – and keep society — going. All-suffering, strong-willed women. Stay posted for 10 better reasons to read. If you order your copy directly from the publisher, they send me your name and address. I do then what I most like doing. I send you a personal note of thanks. Click on this link which takes you straight to the page for Every Soul Is Free. There’s also a link which displays tips and guidelines for writing your review. Of course, you can actually type your review into the second box, but it might be easier for you to write it off-line and paste it into the box provided. Whatever you do, have fun and look forward to having your review posted on Amazon and then picked up here, again.